Thank you for continuing to stand with us in preaching the Gospel and planting churches in Cambodia. Our church planters continue to travel to remote villages to share the Gospel of salvation and to care for people in need. We face challenges as we try to undo the effect of false doctrines and get people to focus more on the Word and the one true God than on modern technologies and materialism. Our church planters continue to press hard for the Lord. Your prayers and support bring much encouragement to these precious servants of the Lord Jesus Christ. Two of our church planters would like to express their gratitude to Partners International’s supporters. My name is Pom. I am 72 years old. I live in the Steung Sen district. I am on a church planting team in Kompong Thom province. I retired from an assistant principal of a school in my area. Since then I have planted two churches in my area. I praise God that even at my age, He still can use me for the work of His Kingdom. “…even in old age, they will still produce fruit; they will remain vital and green. They will declare the Lord is just…” Psalm 92:12-14. I want to bring the Gospel of salvation to many people while I am still alive on this earth. I want to plant more churches in my province for God’s Kingdom. Thank you Partners International for your prayers and your support for me to go to preach the Gospel and to plant churches in my region! My name is Saran. I am part of a church planting team in Prey Veng province. I want to plant more churches in my region. My team reaches out to our community and those around it by preaching the Gospel, praying for the sick, helping the needy people as well as free tutoring for Khmer and English classes to children in our area. I appreciate all of the prayers and support from you and Partners International. May the Lord our God bless you all abundantly! Equipping workers to do the work for God’s Kingdom is essential in our ministry. These men and women help carry out the vision and the plan that God has called us to fulfill in the nation of Cambodia. Within these six months, we held three trainings in Phnom Penh. First was a church planting training with a focus on evangelism and learning how to care for new fellowships. The second was a provincial key leaders training. 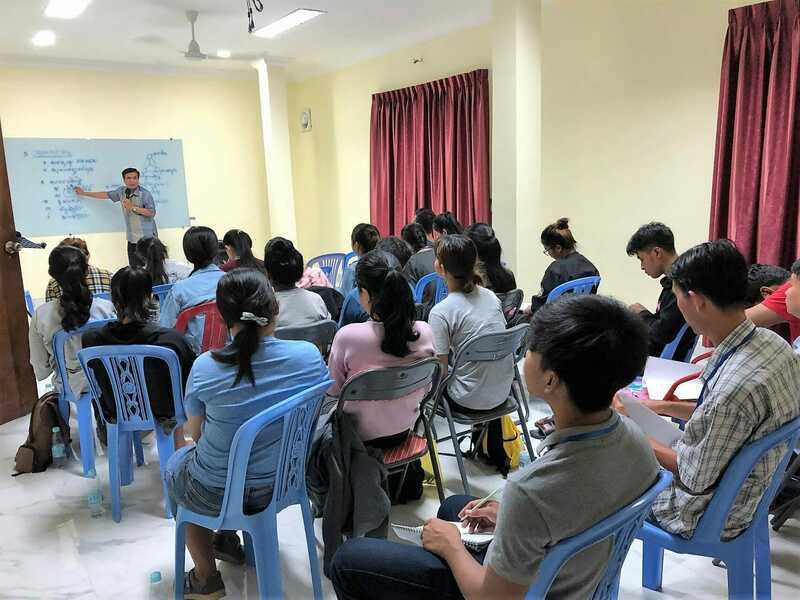 The aim was on how to coordinate rural churches and leaders to function correctly and help them understand the role and responsibilities as key leaders to work in conjunction with the Phnom Penh central office and the rest of the churches in the provinces. The third was a youth training that focused on the Foundations of Faith and on ministry. This training helps build sound doctrines enabling young people to stand against false teaching and the local religions as well as how to live and serve God effectively for their future ministry. Divine protection for our workers and churches. Outreach to the garment factory workers across the country. On behalf of the River of Life Church Cambodia, we would like to say thank you to you our supporters and Partners International for your faithful prayers and support to the ministry. 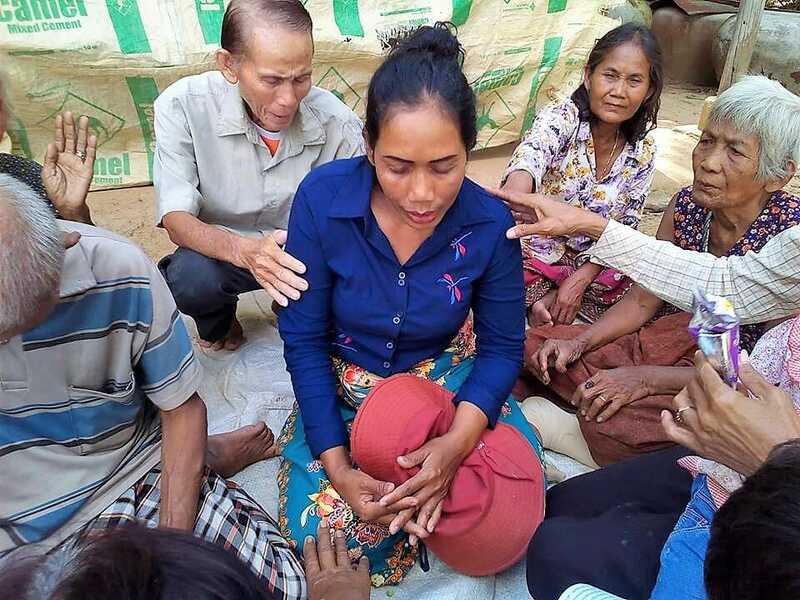 Your partnership with us has transformed the lives of many people in Cambodia. May the Lord bless you with much joy, peace and divine health this new year!